Edmund's dev blog for gay nerds: Progression? This post is filled with minor spoilers.. just sayin. How the hell do you add a feeling of progress when your game is randomly generated? 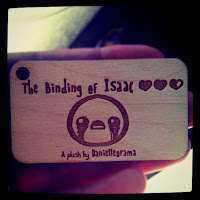 this was a huge hurdle of mine when starting Isaac and something i was very unsure of as the game started to unfold. i had a few examples i knew worked, Spelunky had a sense of progression by playing the game to cash in on short cuts that would push beginners through the full game by adding "starting points". Desktop Dungeons added progression by unlocking alternate characters that play differently to mix things up and allow you to continue with a new character if the game grew stale. I liked both of these designs but the one Spelunky used didnt fit with Isaac's leveling progression and Desktop's design didnt fit well due to the lack of character customization i had without using items. 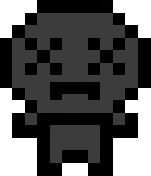 The design i settled on actually turned out to be more of a combination of alt characters from DD and the unlocking weapon system used in Super Crate Box, formed to fit Isaacs gameplay. 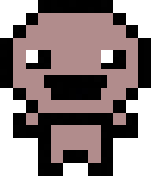 What i mean by that is this, the more you play Isaac the more random elements are shuffled into the game, Items, enemies, rooms, characters, bosses, endings and even chapters are unlocked as you play the game. These unlockables are triggered by many different things, some are based on achievements others based on luck, but the most common simply happen by playing the game as you normally would. Basicly the more you play the game, the more rich the content becomes. this formula gives the illusion of the game feeling endless and lets it unfold organically as you play. Not only does this let me add a sense of progress as you play and get better it also lets me control the difficulty of the game. Difficulty progression is another aspect i mulled over for a long time when starting Isaac's design. I wanted the game to be a challenge, but much like Super Meat Boy i also wanted to be able to add content that helps those having trouble (unlockable characters) and rewards better players with more challenge (dark world). 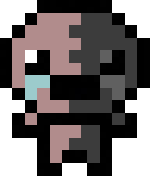 With Isaac i came at this in a very similar way but applied it with unlockable content. Users who play the "basic" game and are struggling will be rewarded with new items (shuffled into the game) that will aid in their gameplay sessions making the game a bit easier for them, but players who play well will be rewarded with more of a challenge in the form of harder bosses, extra chapters and raised over all dificulty depending on how well they continuously play. That said, regardless of how you play you will still eventually unlock the "helper" content even if you're dominating the game. Its hard to go into detail about exactly how these things unlock and what they are without spoiling the fun, but there are over 60 unlockables that range from an extended game, 10+ new bosses, difficulty spikes with extra reward and loads of new unique items. Isaac is one of 4 main playable characters (or classes) that become available as you play the game, these classes mirror the 4 core classes in DnD, Fighter, Thief, Cleric and Wizard. an average character unlocked from the start. Unlocking these characters will also unlock their special item in the main game and shuffle them into your gameplay sessions regardless of who you play as. The goal of alt characters is to allow the player to start as a slightly more defined "class" to hopefully complement their play style as well as change up how one might play the game. There are also unique "familiars" that are unlocked by completing the full game with each character as a bonus reward. Well i hope that cleared up a bit of the mystery on why replaying the game is actually rewarding in more ways than one, and how i dealt with difficulty progression within a roguelike formula. Im super excited to get this thing out, very very happy with it right now and really enjoyed working with Florian(nsfw) and Danny a lot, special thanks also go out to Tommy who not only has play tested the hell out of isaac but also wrote the achievement code for us and Danielle whos been obsessively playing for the past 2 months and is in the process of making some very awesome limited edition Isaac plush for our launch on the 28th! 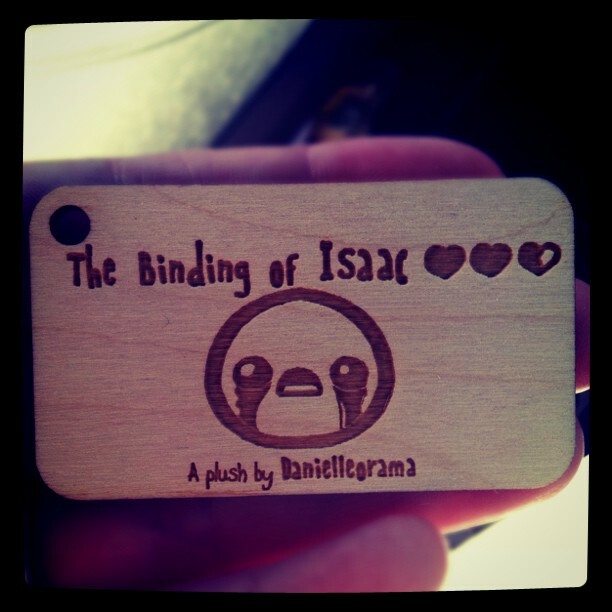 The Binding of Isaac is coming out on the 28th of Sept. Only on Steam. It launched on both Mac and Pc, and will sell for $5 bucks! Questions will be answered in the comments below. Nope, Just Chuck Testa, but for real I am very excited, I can not wait for this game. I really like your style Edmund. You really are passionate about making a game good and unique and not just crap like so many AAA and stuck up indie game devs out there are doing. You're a real inspiration to me and make me confident there is still people out their that like good games and want to keep making good games so our children can feel the awesomeness that is old-school gaming. Also, probably an obvious question, do you have plans on adding new content later on? @Dex thanks, and yes we plan on updating with free content as time passes for special events. When you say 5 Dollar does that for us Europeans mean 5 Euros? If so that might push me to not buy the game immediatly. Have you ever been tempted to put multiplayer in this game? Thanks, for finally putting it out :) I am more hyped for your "little" game right now than any of the big players coming this year. I'd love to support your gameplay vision with my 5 euros. Definitely an instant buy pricing territory, and I am pretty sure the people buying it will justify your low-price decision. The game will have "multiple endings"?. Any chance to make a Coop/Multiplayer Game in the future?. I havent put much thought into multiplayer in Isaac, the main issue is the fact that right now it doesnt support gamepad and uses the full keyboard for single player. if i come up with a way to do a multi mode though ill tell ya. @anon there are no enemies that do one hit kills, only half and full hearts of damage. The perfect gift to myself on my birthday. Any plans for a pre-purchase on steam? I just want to buy it early....... I'm very excited to play this game. Well I am definitely excited with the prospect of unlockable characters. This will probably be a day one purchase for me. if you clear a room, ther will be enemies again if you comeback??? I'm wondering, what time zone is the 28th release date for? Being in Australia release dates tend to be 1 day later for us :( haha. if when you play you use the whole keyboard, maybe, an ONLINE multiplayer mode, i mean, there is any posibility? the music is random too? there is no chance of online multiplayer. THE GAME IS GREAT! BUT CRASHES ALL THE TIME. I GET NEAR MOTHER AND "%&$ BACK TO THE DESKTOP! FIX IT PLEASE! POR FAVOR! The most important thing when shopping for to obtain skin ladies' efforts handbag is without a doubt style and wish. A convenient get is an that is suitable for the two factors. In today's times, girls designer bags are constructed of incredible habits and type. Doesn't mean they are just a concern to lug passively even though subjectively believed since it's stuck our own poker holding or possibly slung down the shoulder blades. Wow, incredible weblog layout! How long have you been blogging for? you make running a blog glance easy. The total look of your site is excellent, let alone the content! it is so commendable hence I am going to bookmark it!